Made by an Italian chocolatier with carefully selected Fairtrade cocoa beans. Cane sugar, cocoa butter, milk powder, milk fat, emulsifier soya lecithin, sea salt, vanilla extract. 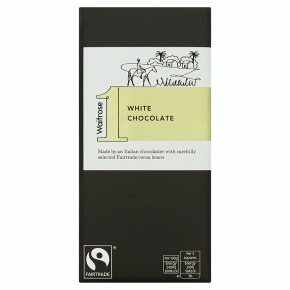 Cocoa, cane sugar, vanilla: traded in compliance with Fairtrade Standards, total 66.6%.